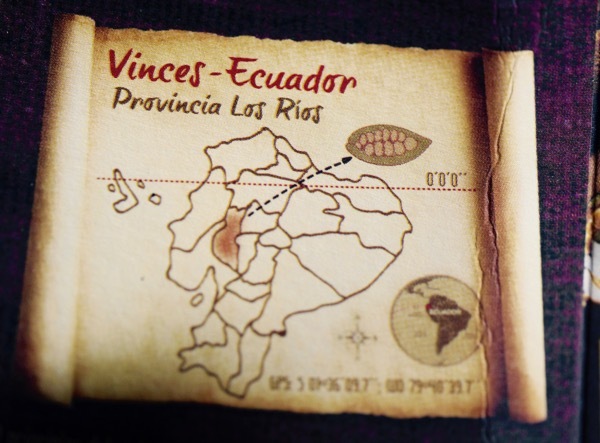 Welcome to Day #5 of Ecuador Chocolate Theme Week, as the countdown to Chocolate Banquet's 10-year anniversary (Sept. 11) continues. 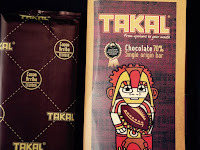 There are many good Ecuador single origin cacao bars made in the Northern hemisphere. 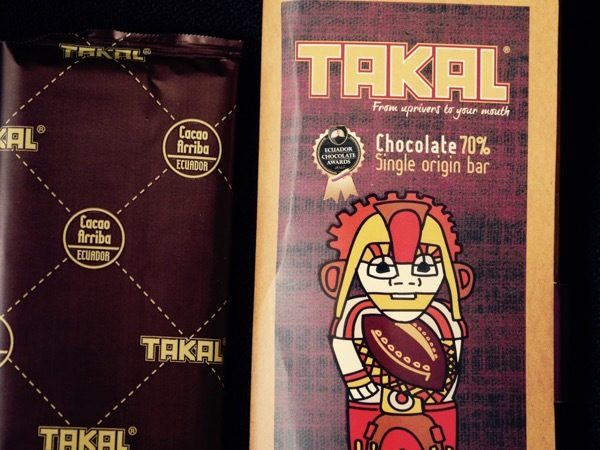 However, I'm always interested in sampling a bar from the same country where the beans were grown—in this case, a Takal 70 percent bar from Takal (Quito, Ecuador). 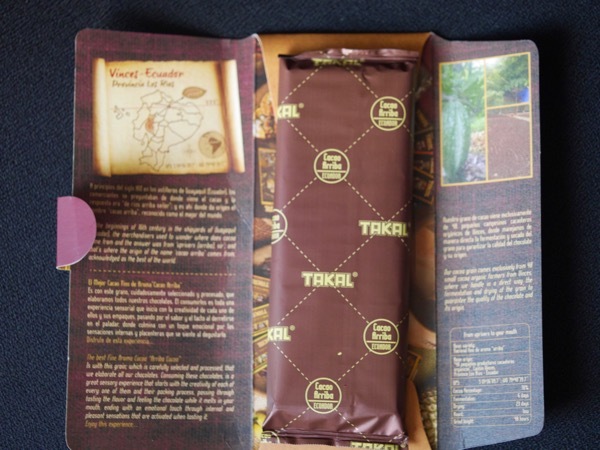 Today's Tokal Chocolate 70 percent bar was made with Arriba cacao from Vinces - Provincia Los Rios. 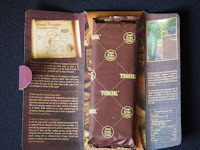 And when I opened the packaging, a small treasure-style map inside showed me where the cacao was grown. 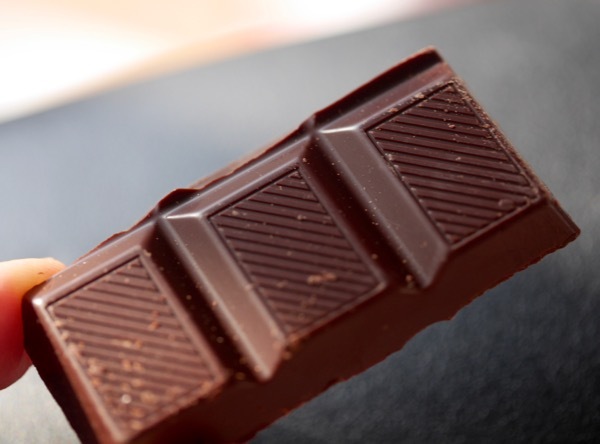 This bar contained three ingredients: cocoa mass, sugar and soy lecithin, but had a complex and interesting aroma and flavor notes: chocolate, caramel, fruit (raisin, crisp tart apple) and a slight nuttiness.